Spend less time doing it. 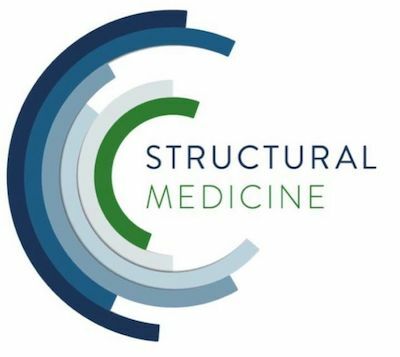 This company has changed how my clinic runs over the last 2 years. Bookings, invoicing and anything admin - AppointmentGuru is a necessity for any modern business in today's technology-driven workplace. - Sean Johnson. Natural Therapist. 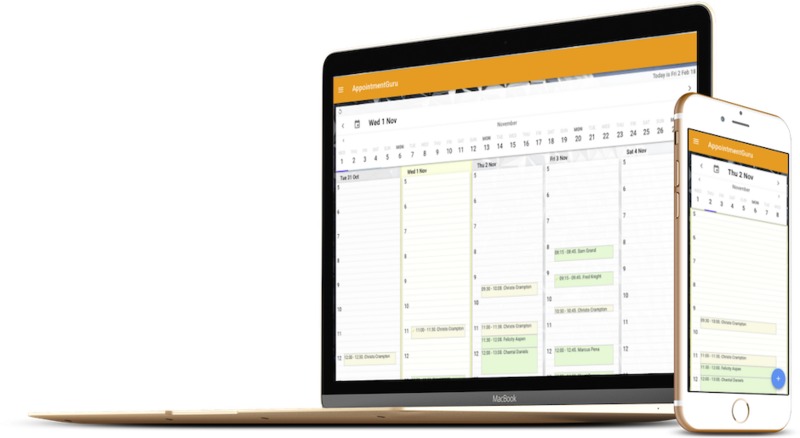 Automate your appointment management, send good-looking invoices, enable online scheduling, be better at running your business, free up more time. 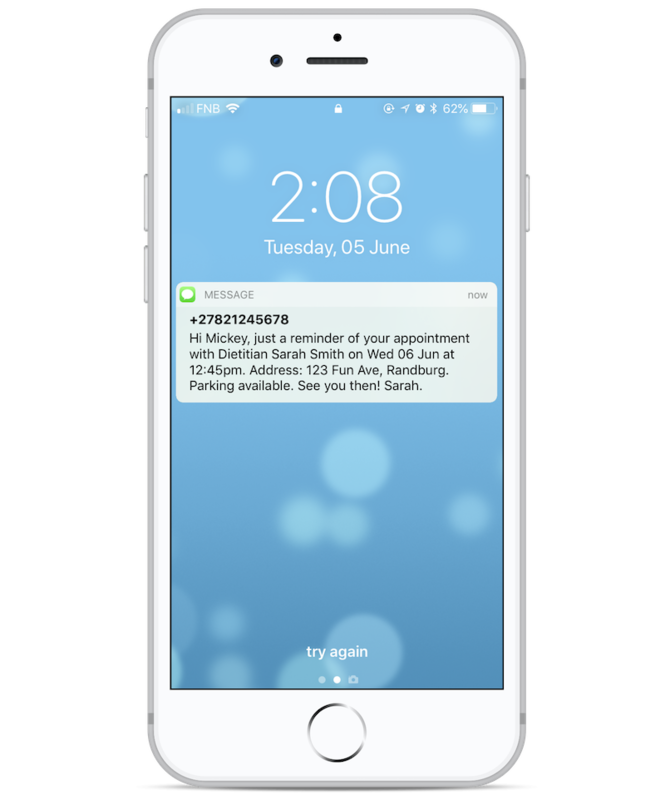 Keep up-to-date with your daily appointment maker and invoicing with the AppointmentGuru app. Industry-standard invoices generated from your appointments that can include medical ICD-10, NAPPI and procedure codes. 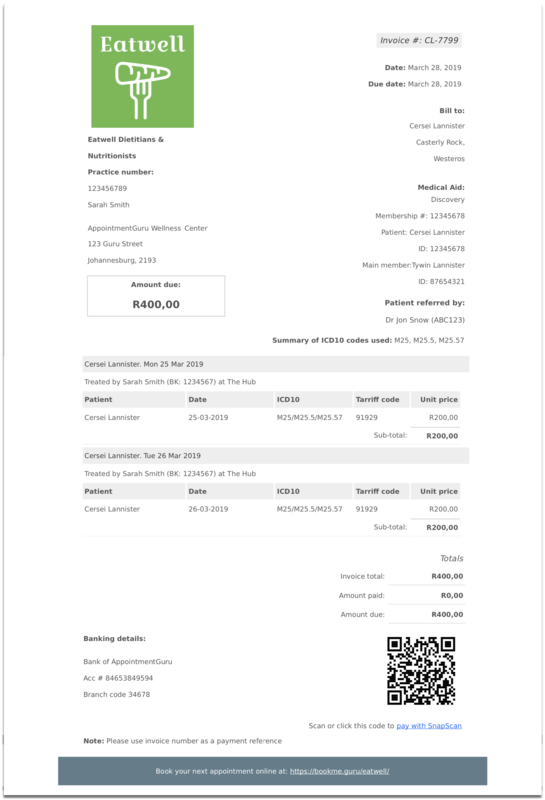 Accept credit card payments with AppointmentGuru's SnapScan integration. 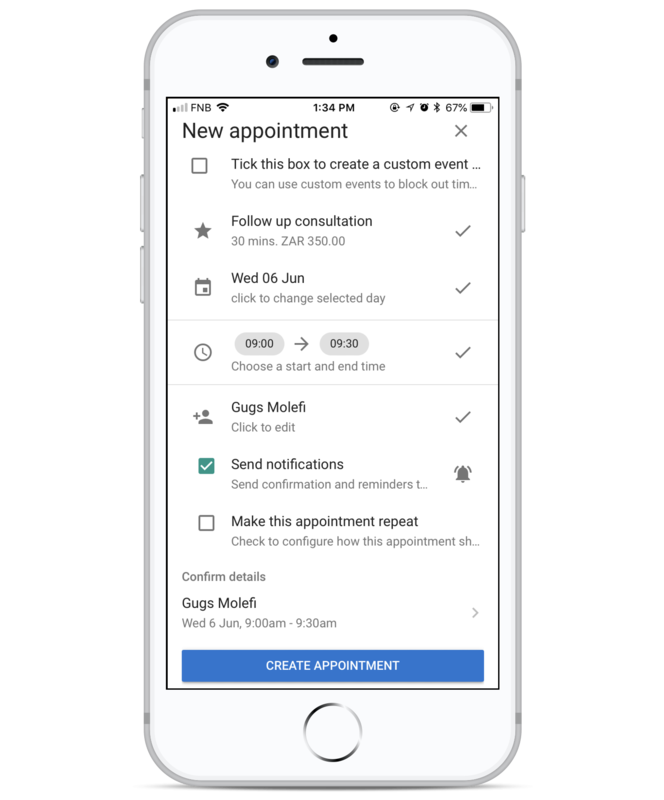 Clients can book and manage their appointments with the AppointmentGuru app. Data, notes and personal details are all safely stored on our platform. 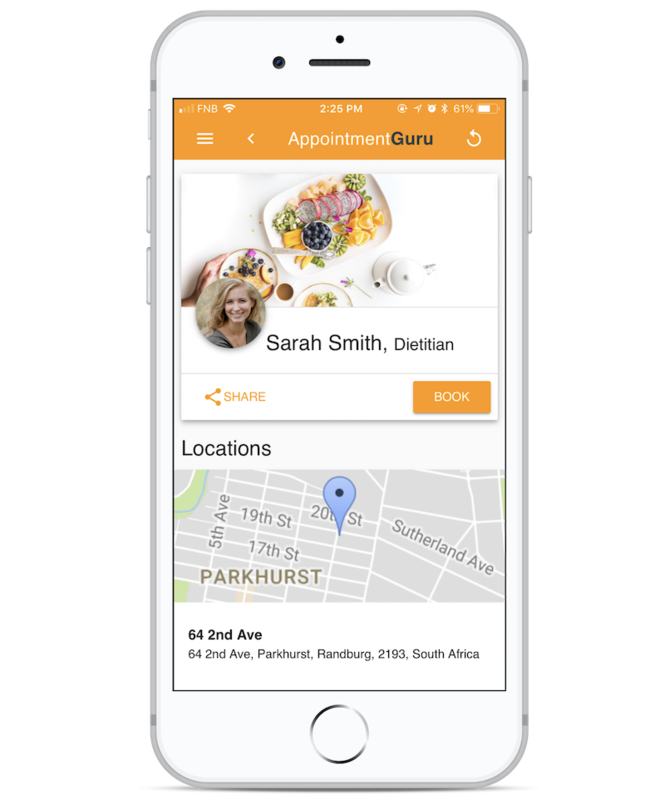 AppointmentGuru is the perfect medical software for Physios, Biokineticists, Personal Trainers, Chiropractors, Psychologists, Dietitians, Consultants - any business that makes use of an online appointment system. AppointmentGuru is a South African start-up based in Johannesburg and Cape Town. We're passionate about helping small businesses succeed by taking advantage of technology, empowering them to do more with less. 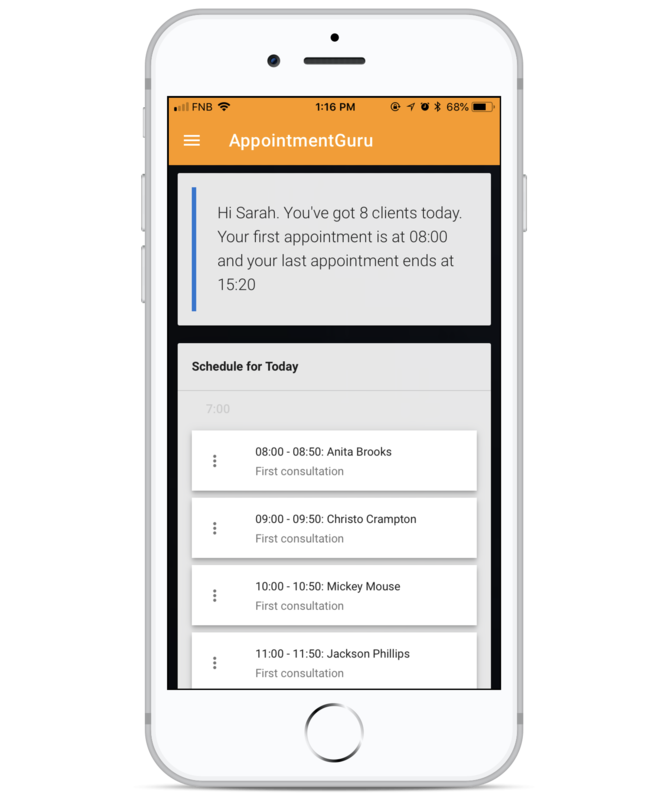 Clients of AppointmentGuru practitioners can book and manage their appointments from our mobile app.